A chaplain is a person who is: “among people, with people, for people, providing a caring listening ear” to the stories people want to share - about their work, their families, their life, maybe their worries, and even sometimes about God. It’s about being present, being available, being where we are invited, not imposing our ideas on others in any way, just showing love and care towards all. 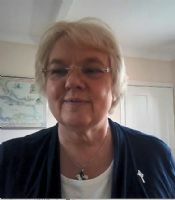 Deacon Maggie Patchett is working to develop a chaplaincy service to those working in tourism in the South Lakes. 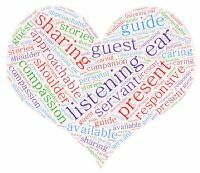 Currently concentrating on visiting hotels, cafes, B&Bs etc in and around Ambleside, Windermere and Bowness, but open to requests from elsewhere, we provide a listening ear, a shoulder to lean on, someone to turn to, with no other expectations. B&B Fellowship Group: We have a small group of Christians who all run B&Bs and meet together on a monthly basis for a time of led reflection and fellowship. The venue varies but we share lifts. The next meeting will be in Windermere on Tuesday 9th April at 7pm. Contact Maggie (below) if you would like to join us, or want more information.